Coffee is one of the most popular drinks in the world, with an average of 1.5 billion cups of coffee consumed each day. While coffee is traditionally used as a quick pick-me-up, certain chemicals found in coffee may also promote weight loss – particularly when consumed from raw, unroasted coffee beans known as green coffee. The weight loss properties of green coffee are attributed to a type of antioxidant found in coffee known as chlorogenic acid, or CGA. CGA has been purported to inhibit the absorption of glucose in the small intestine as well as the release of glucose from the liver into the circulation. This effect reduces the level of glucose in your bloodstream so that your body relies on fat cells for energy instead of carbohydrates, subsequently leading to a loss of body fat. 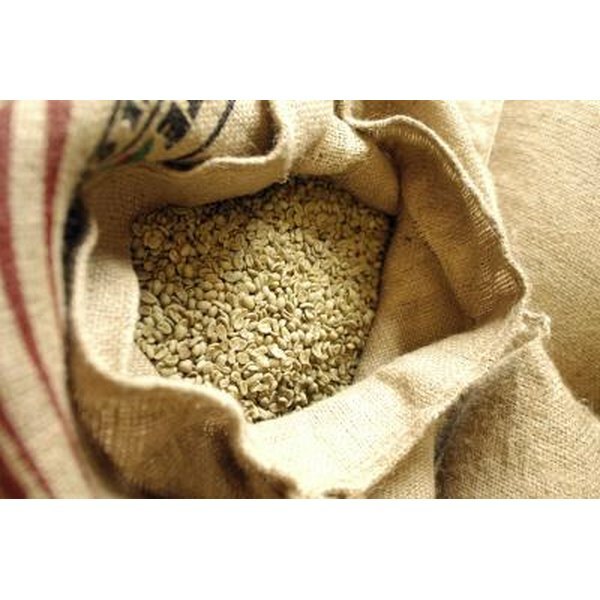 CGA is present in high quantities in green coffee and to a lesser degree in roasted coffee, as it is broken down by the roasting process. A report by the University of California revealed that green coffee beans deliver anywhere from 34.4 to 41.6 milligrams per gram of CGA. Roasting green coffee beans at 230 degrees Celsius for 12 minutes reduces the CGA content to almost half, and roasting at 250 degrees Celsius for 21 minutes almost totally depletes CGA levels. The CGA content for most roasted coffee ranges from about 2.to 7 milligrams per gram. Several studies have confirmed the weight loss powers of green coffee, including a 2007 study published in “The Journal of International Medical Research.” The study focused on a coffee product comprised of 2,000 mg of Arabica and Robusta instant roasted coffee, 200 milligrams of a green coffee extract and 90 mg to 100 milligrams of CGA. Participants in the green coffee cohort drank five cups of the coffee product, equivalent to 11 grams of coffee a day for 12 weeks. At the end of the 12 weeks, the green coffee cohort lost an average of 5.4 pounds and 3.6 percent body fat. In comparison, the black coffee group lost a total of 1.7 pounds and 0.7 percent body fat. These studies used a mixed coffee product containing both green coffee extract and roasted coffee. Since green coffee cannot be brewed like roasted coffee, it can only be consumed in the form of green coffee extract. Several companies now offer blends of roasted coffee with green coffee extract that are promoted specifically for weight loss. The extract may also be purchased as a separate supplement without coffee. Studies on weight loss have demonstrated a positive effect at dosages anywhere from 180 milligrams to 1,000 milligrams of green coffee extract and 81 to 500 milligrams of CGA. As with any type of weight loss supplement, always talk to your physician first before using green coffee extract to determine if it is safe for you.